Omni Hotel at The Battery Atlanta provides endless opportunities for your wedding celebration with over 20,000 square feet of event venue space. From a grand ballroom to more intimate spaces, our luxury hotel in the Cumberland area provides the perfect environment for social soirees. The Battery Ballroom features over 5,300 square feet of space and can accommodate up to 450 guests. 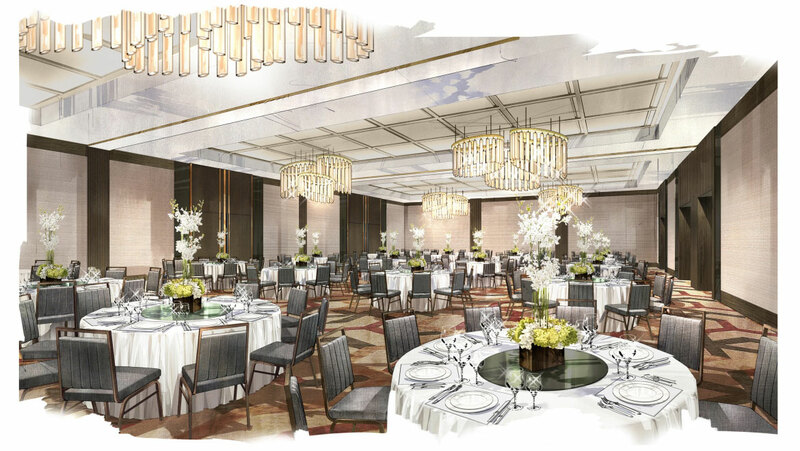 Beautiful chandeliers and ceiling details adorn the sophisticated and luxurious setting. Relax and enjoy a cup of coffee or a glass of wine at our Lobby Bar before the wedding festivities begin. Celebrate your special day with a farewell brunch. Enjoy our chef's delicious take on traditional morning favorites.